Jordan’s Star Trek theme park will be a sprawling 74 hectare development, but it does have an eco upside. Since its various eco-parks and green housing projects haven’t done enough to stimulate an appreciation of sustainable development in Jordan’s residents, perhaps the Kingdom’s crazy new Star Trek themed park can fill in the gaps. 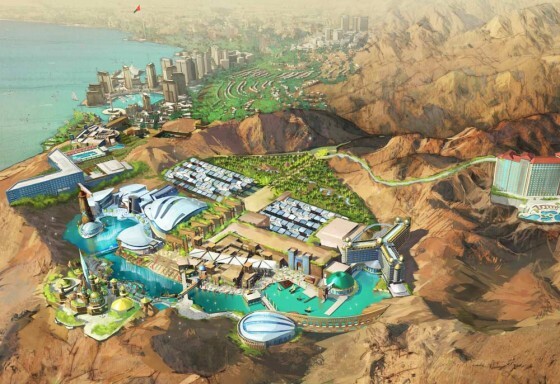 Once an extra in a Star Trek Voyager episode, King Abdullah is no doubt behind the inspiration to build a $1.5 billion dollar project in the port city of Aqaba that, unlike the UAE’s absurd Global Warming Park, will be a “23rd century” showcase of renewable energy. Funding for this project, which is expected to provide at least 500 hundred high-skilled jobs, will come from investors in both the United States and the Gulf region. Amman-based Rubicon Group Holding will be responsible for developing the entertainment elements of the resort, while Paramount Recreation will oversee the “Star Trek” component. Although the resort is massive – at 74 hectares – and will feature obnoxious four star hotels and 17 entertainment zones, it does have an eco-upside that has the power to inadvertently teach visitors about the benefits of cleantech and other creative environmental solutions. A pavilion will showcase greywater harvesting, solar energy, wind energy, and a variety of other renewable techniques that will also be incorporated into the development itself. Callison has been commissioned to work with Rubicon to design the futuristic facilities that is hoped will also stimulate tourist activity. This is the splashiest intervention to come from the usually circumspect Kingdom. It remains to be seen whether it will have a negative or positive net environmental impact. Previous Previous post: Has Ford´s Ambassador – The Green Sheikh – Been Cloned? this can also be good for Jordanians working and studying renewable energy abroad , any ideas about the green companies working on this project? It’s a wonderful idea, but due to current realities in the Middle East, it may be better for King Abdullah to concentrate more on giving jobs and other opportunities to his subjects in the rest of Jordan. 500,000 new job opportunities all over Jordan is a lot better than 500 “high skilled” jobs for this project – most of these probably coming from outside the Kingdom.